Calvin Peete, a fellow Detroit native, was a self-made golfer; he never received a lesson. He started playing golf in his twenties and immediately excelled at the game. Peete became known for his error-free performances. In 1985, he was THE PLAYERS champion. I enjoyed thinking about Calvin Peete’s remarkable ascent as I drew him. Sadly, Peete passed away in 2015. 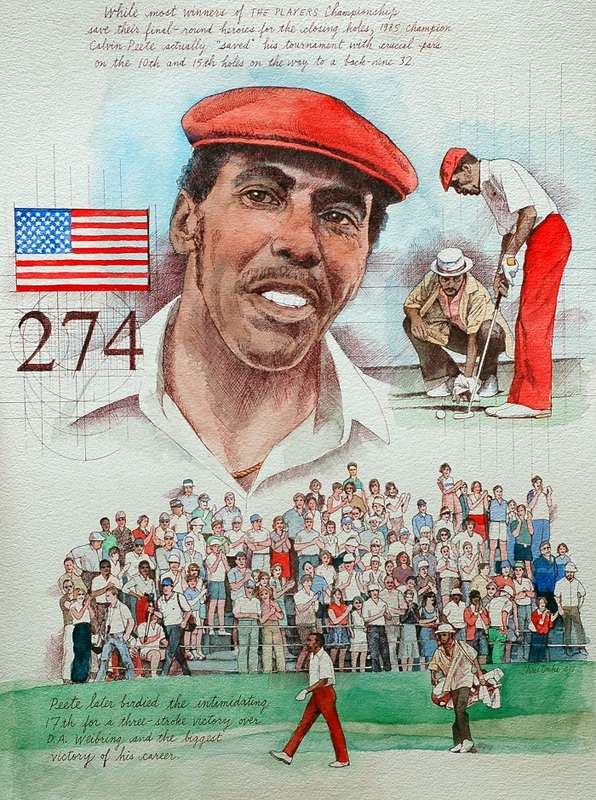 When NBC honored his memory on the Sunday afternoon of THE PLAYERS Tournament, they featured this painting of him in their television coverage.